This CRRA subject guide is designed to connect users of the CRRA website and Catholic Portal to materials on all aspects of Catholic Education available through the Portal, through electronic collections at CRRA institutions, and to relevant high-quality materials that are available on the Internet. We hope you will find it useful. 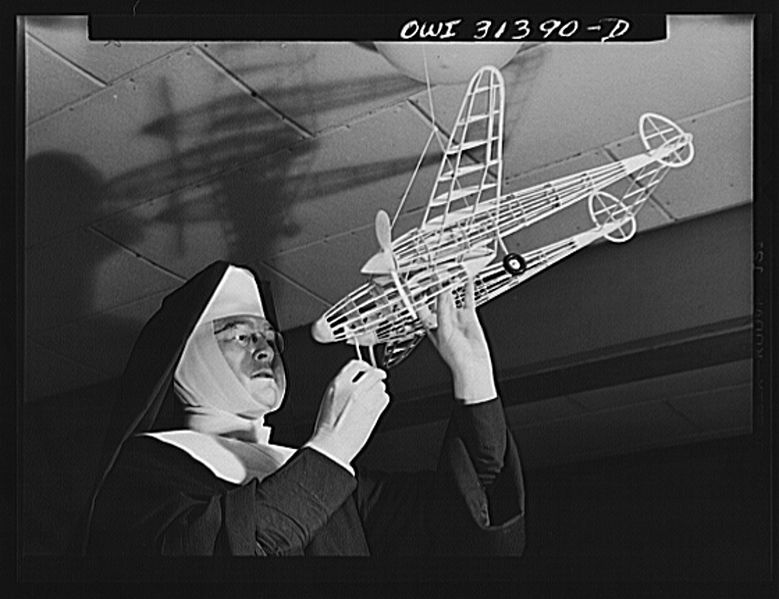 Photo: Sister Mary Aquinas Kinskey applying a little glue to the model P-38 which hangs from the ceiling of her classroom at Catholic University, where she taught aeronautics. 1943. Photographer: Ann Roesener. Public Domain. Source: Wikimedia Commons. 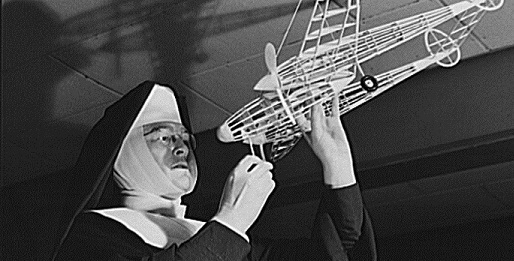 Learn more about Sr. Mary Aquinas. Below you can download a PDF of a position paper, produced by a meeting at St. John's University, New York, of Deans of Schools of Education or Education Departments from 19 Catholic colleges and universities from around the country as they wrestle with the problems of waning interest in and support for Catholic primary and secondary schools. Click a link below to see all materials on that topic.